Where should you go when you get tired of the neon lights, crowded streets, and massive buildings of most Tokyo neighborhoods? Most of the photos coming out of Tokyo depict huge crowds winding their way through flashy skyscrapers, but there is also another side to the city. 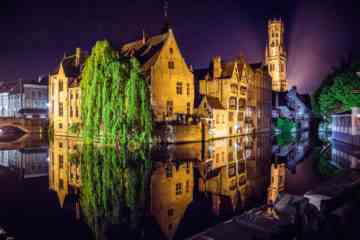 It might not seem that way at first; much of the city was bombed out during World War II, leaving few traditional neighborhoods intact. 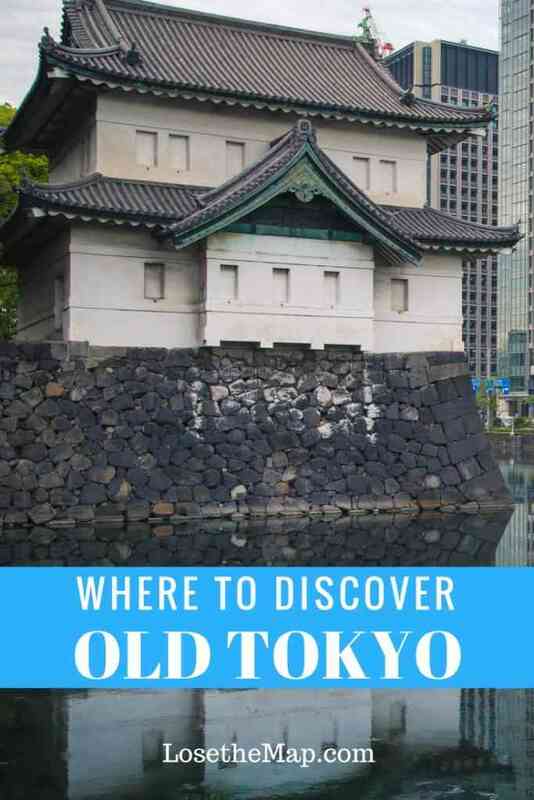 But there are historic neighborhoods with old markets and narrow alleys, beautiful museums, and stately Imperial Gardens that transport you back to old Tokyo. You just need to know where to go. If you want to save this post so you can it read later, Pin it! Disclosure: This post does contain some affiliate links, for which I will earn a small commission (at no extra cost to you, of course). However, all opinions and viewpoints expressed in this post are, as always, my own. 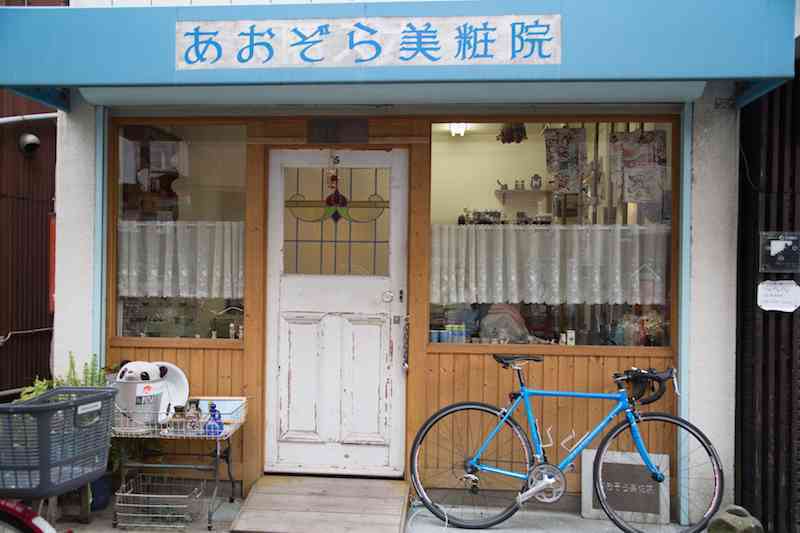 In Yanaka Ginza’s market district (entrance pictured above), tiny traditional shops line the main road and older Japanese people weave through the crowd with their bicycles to pick up what they need from the local vendors and then hurry on home. Wires and cables hang down everywhere as the neighborhood’s attempt at modernizing households has had to work its way around the existing streets and structures. 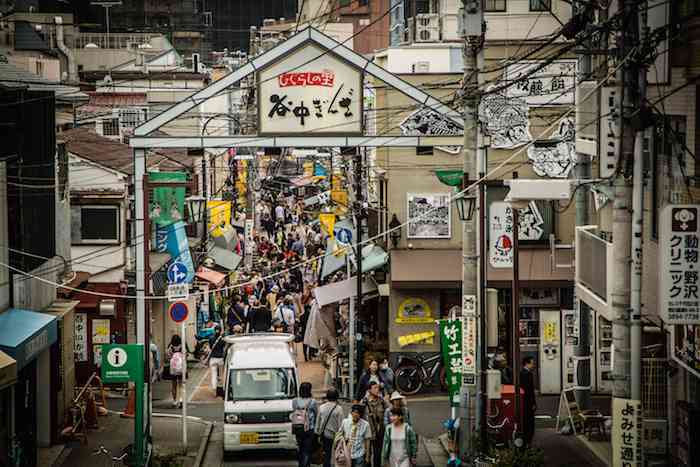 It’s one of the few neighborhoods that escaped the wartime destruction, and it shows off a quieter side of the city, even with the bustling market situated right in the center. Alleys veer off the main streets to quiet residential areas with bikes lined up out front, the seemingly preferred method of transportation among local residents. 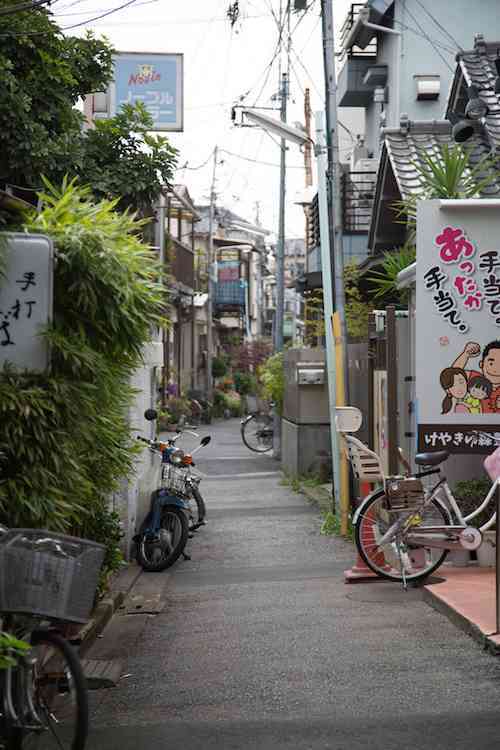 I got a glimpse of the houses and lifestyles of pre-war Japan, of a tighter-knit community in the center of a large, chaotic metropolis, of a slower pace of living and moving that seems to have vanished from the rest of the work-obsessed city. This wasn’t only because of the age of the neighborhood, but also because of the age of the locals, most of whom seemed to be over 60. 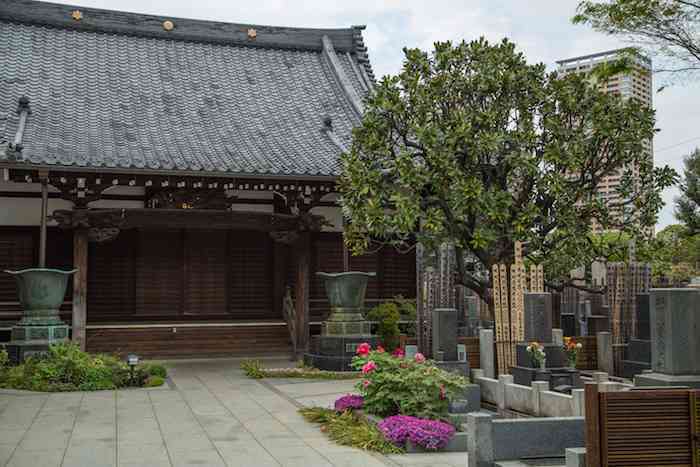 They had stubbornly kept their corner of old Tokyo, this bastion of Japanese tradition, standing strong against the wave of technology and modernization sweeping through the rest of the city. After my days of sensory overload, it was refreshing. This part of the neighborhood is less morbid-sounding than you might think. The cemetery is a serene, calming place, and looks quite different from any cemetery I had found myself in previously. 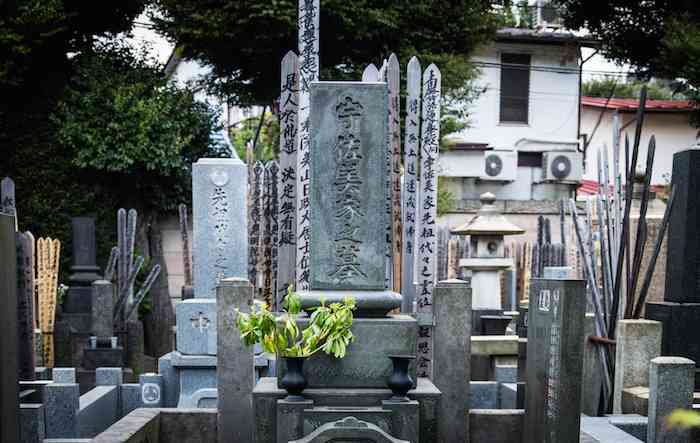 Almost 100% of Japanese people choose cremation due to religious reasons, so the cemetery is filled with stone monuments engraved with the name of the member of the family who purchased them, surrounded by wooden boards called sotoba bearing the names of the rest of the deceased. 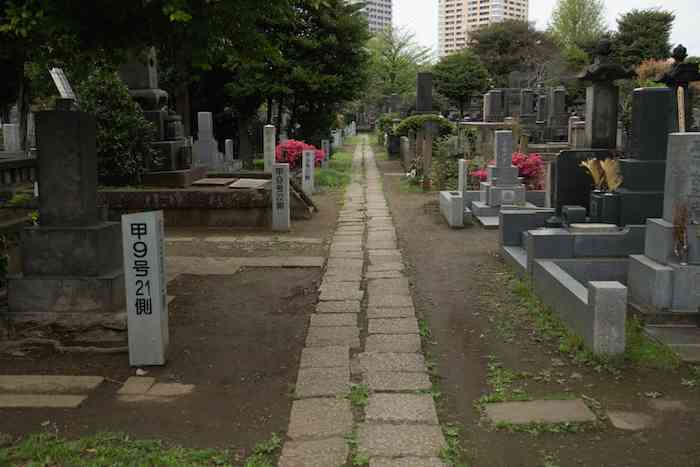 Walk through the peaceful, tree-lined cemetery to get to Ueno Park, and there you will find the next destination that can give you a better understanding of Tokyo’s history. 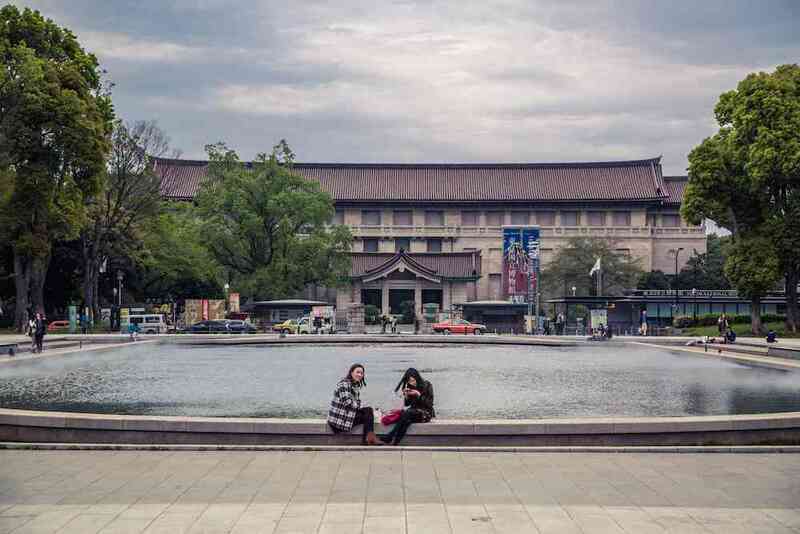 The Tokyo National Museum is the oldest museum in Japan, and also houses the largest collection of art. I got a fascinating glimpse into different historical eras of Japan, ranging from archaeological finds of the Edo period to Buddhist art in 6th century Japan. 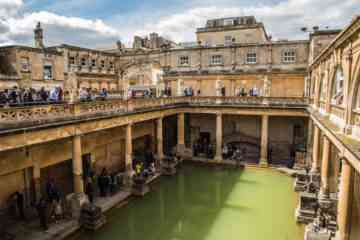 If you’re a cultural and history nerd like me you will fall in love here, but even if you aren’t, there are incredible exhibits for you to gape at as you wander through the halls. For all it has to offer, admission is pretty cheap at 620 yen (around $5), unless you are in that lucky under-18/over-70 crowd, in which case you get in for free. 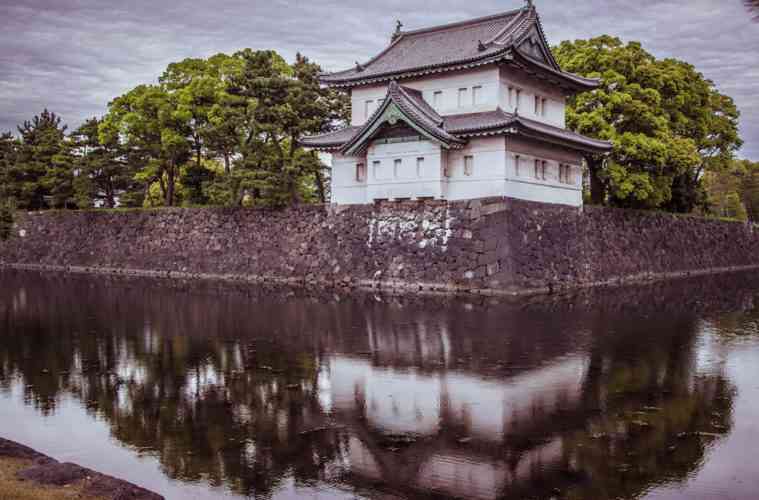 To get to the last historic destination on the list, you’re going to need to hop on Japan’s super-efficient (and surprisingly always clean-smelling) metro system and get off at the Tokyo exit. I will share my misadventures with the Imperial Palace here, because I haven’t said enough on this blog to make myself look like an idiot. The first time I tried to go, I was right next door in downtown Tokyo and thought I’d wander over and explore the grounds. The guards then politely told me the Imperial Palace was closed on Mondays. This is what happens sometimes when you enjoy traveling without a plan. Two days later, I made my way back and entered! 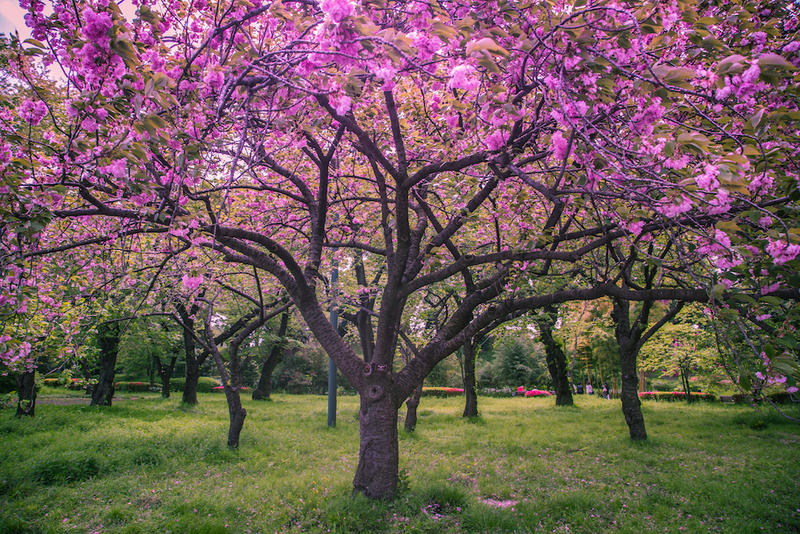 I spent 30 minutes wandering around the beautiful gardens, taking in the last days of the cherry blossoms, which had turned darker than I expected. I wondered where in the world this “palace” was before realizing that visitors, for obvious reasons, did not have access to the Imperial Palace where the royal family lived. But maybe you already knew that, considering you’re already doing way more research about travel to Japan than I apparently undertook. 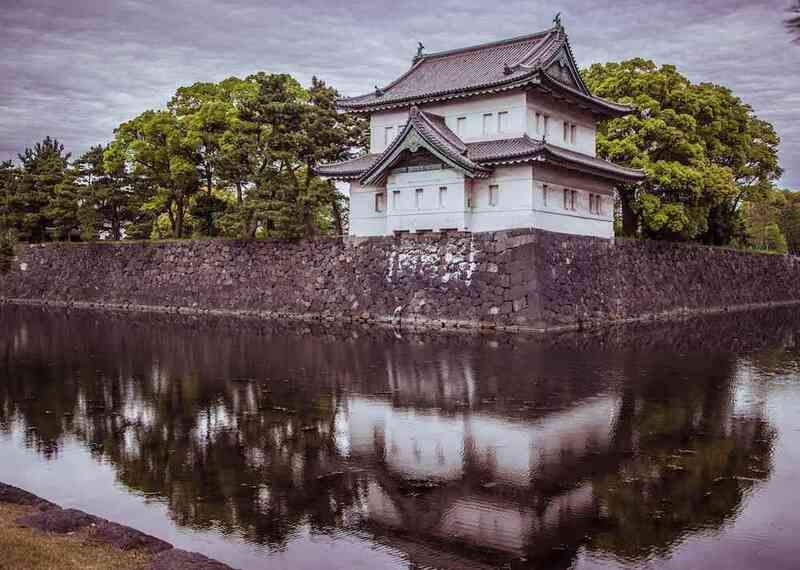 As far as the original historic castle on the grounds is concerned, the base of the castle tower is still in place, but Edo Castle burned down in 1657. 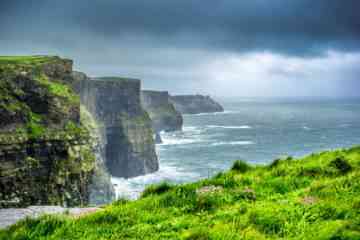 However, the tranquil gardens surrounded by a fortress guarded moat are worth a visit, especially since there is no entrance fee. 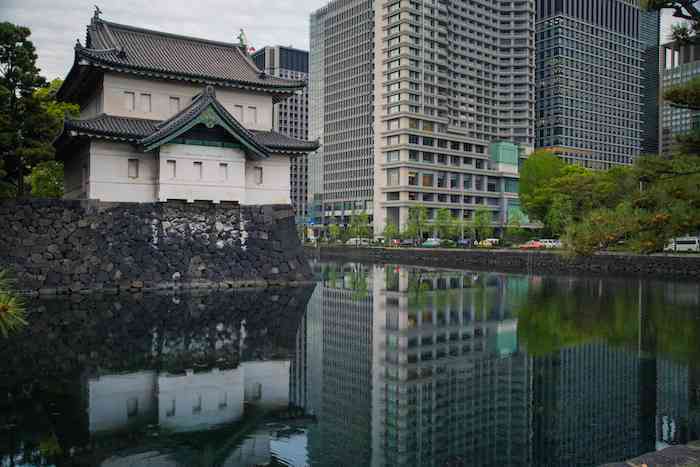 The most striking thing about the palace is how beautifully it represents the traditional side of Tokyo even though it is smack dab in the middle of Tokyo’s downtown skyscrapers. The contrast is surreal, and I couldn’t help but be reminded of how starkly different Tokyo must have looked 200, 100 or even 50 years ago. The city has evolved and changed at a pace that I think is almost unmatched among other destinations I’ve visited, and signs of the rapid and tumultous shift are everywhere. If you are wondering why there are no temples or shrines on this list, it’s because I am creating a separate post about them tomorrow. The rituals and traditions associated with Buddhism and Shintoism in Tokyo are so intricate and meaningful, that I didn’t want to relegate them to a sentence of explanation under a photo. 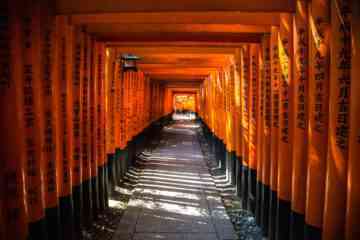 So tomorrow, I’ll take you with me to Asakusa and the Meiji Shrine. 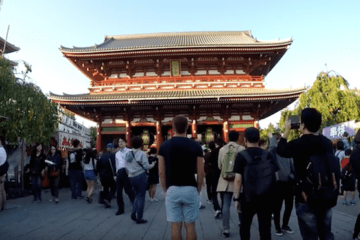 Want to Visit Tokyo Yourself? Want to stay in a Shibuya Airbnb like me? 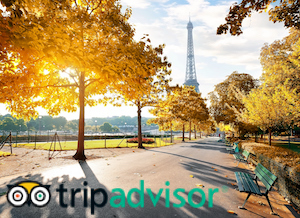 Sign up with my Airbnb link and get $40 in credit! 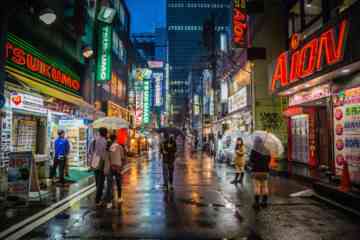 If you want to explore Shibuya next year, book Contiki Travels in Japan to see the country now. First time in Japan? Check out my First Impression of a Gaijin to see what you can expect! Have you every been to Tokyo? 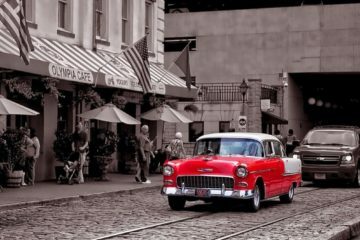 What’s your favorite traditional part of the city? Next ArticleWin 3 Guidora Guides For Your Next Travels!